The EOD HAL Remote Pull Spool is the ideal spool to have for rapid deployment of line for a remote pull. The integrated handle allows the EOD Tech the ability to quickly deploy line, to have something sturdy to hold on to while conducting remote pull and to quickly roll up the line and pack up. 200, 400, 800 or 1200 Feet of standard line. Samson Dyneema can be added up to 600'. Please request a quote. Need a compact Firing Reel Spool? Ditch the braided nylon line and swap in the amount of firing wire needed to conduct Demolition Ops. 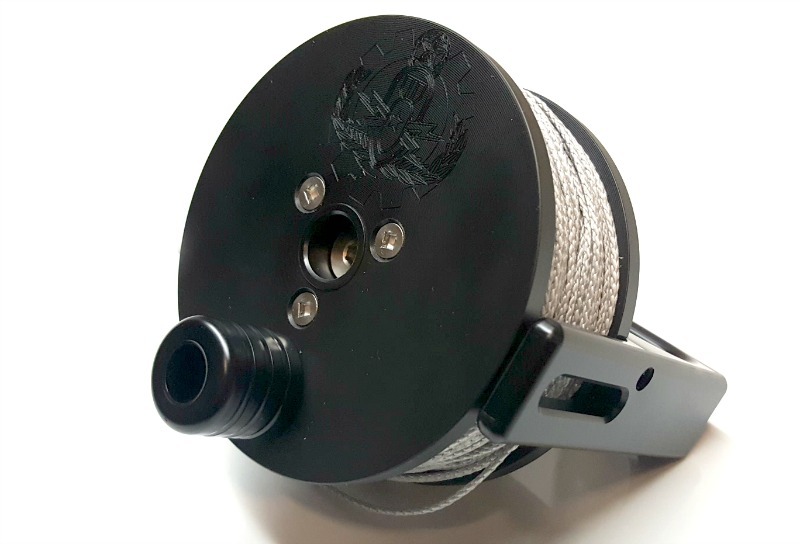 This spool and the 24 pound braided nylon line is ideal for setting up underwater grids during MCM operations.